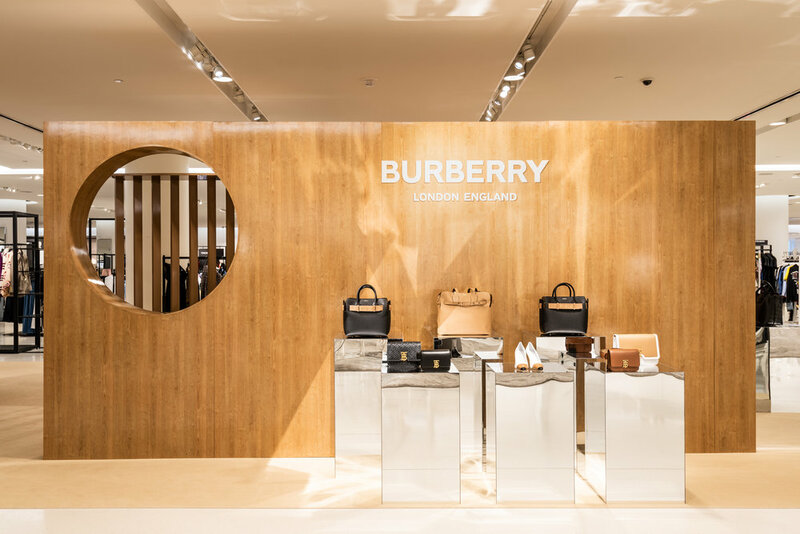 Nordstrom Michigan Avenue welcomes a new Burberry Pop-Up shop featuring the Spring 2019 collection, marking the debut of Chief Creative Officer Riccardo Tisci. The new collection celebrates the diversity and the heart of England - the melting pot of creativity and style traditions from the punk and rebellious, to the formal and refined, all co-existing together. 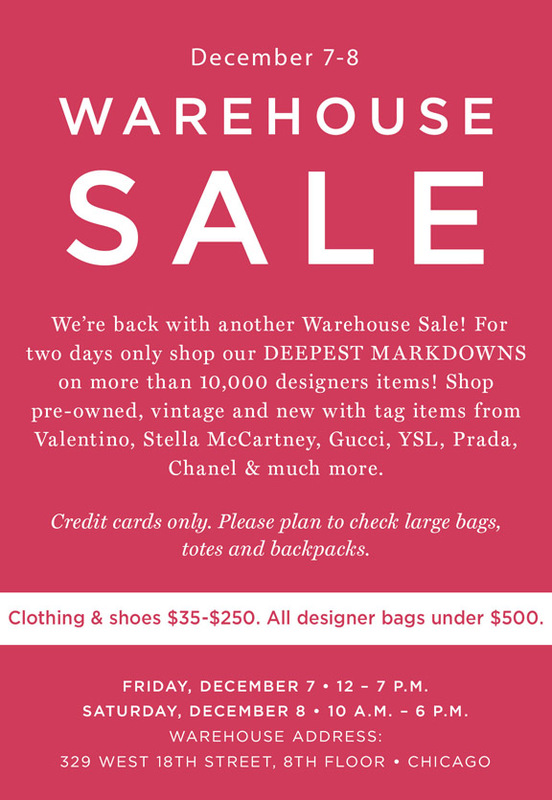 The assortment features ready-to-wear and accessories including trench coats and leather skirts, edgy graphic tees and sweatshirts, bold sneakers, pumps, handbags, scarves and more. Who would believe it's nearly a decade since we saw Michelle Obama in the stunning one-shoulder Jason Wu dress at the 2009 inaugural ball. It was a career-defining moment that forever changed his life. Wu would go onto dress many other influential women like The Duchess of Sussex, Reese Witherspoon, Julianne Moore, Diane Kruger, and Kerry Washington. 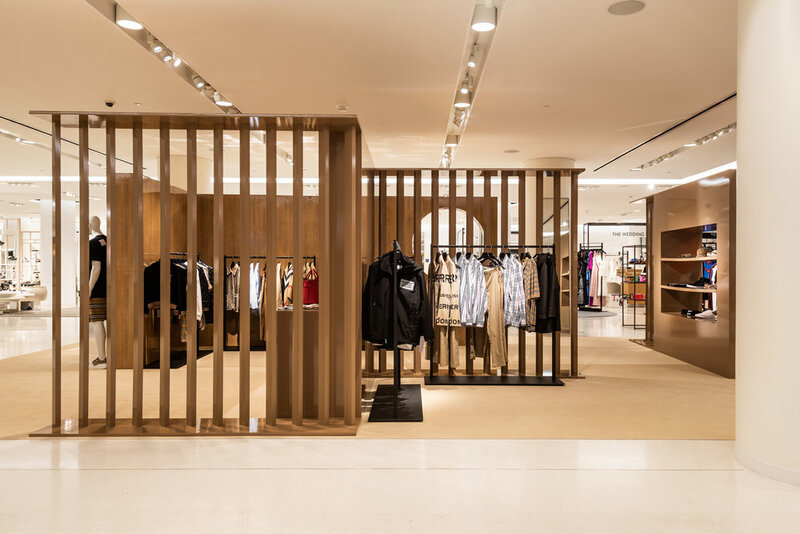 Along with designing his eponymous label, Wu also served as Artistic Director of German fashion house Hugo Boss for five years, as well as creating limited edition collections with Target and Eloquii. Last year saw him enter the world of beauty with his first fragrance, and plans to launch his second scent in 2019. While in town to be honored with the Presidents’ Circle Honors Award from Chicago History Museum’s Costume Council, I had the privilege of interviewing Wu for Splash magazine (which you can read here) but I also threw in some Fashion Junkie questions. LAST TIME YOU WERE LATE? BEST PIECE OF ADVICE ANYONE HAS GIVEN YOU? LAST TIME YOU WERE STAR STUCK? ONE THING YOU CAN’T LIVE WITH OUT? Read my full interview with Jason Wu for Splash Magazine. ‘‘Tis the season of giving" as the saying goes...while it's easy to get caught up in the materialistic aspects of the holiday, how many unwanted or pointless gifts do we receive that end up cluttering our home (and then eventually landfills)? Let's avoid bad (and wasteful) gift giving this season by shopping smarter and choosing more meaningful and thoughtful presents. Where to start? Here are some ideas that are rewarding to both the giver and receiver. Experiences are a good alternative and can be more special in many ways. The trill of a new bag or phone fades while the enjoyment of an adventure lasts. A study from San Francisco State University in 2016 found that experiences more than material things make people happier. Don't feel they have to be extravagant like a luxury trip it's more about creating memories. See the spectacular Chicago skyline all dressed up for the holidays the same way Santa does with Chicago Helicopter Experience. Take the Holiday Lights Tours to see stunning views of iconic sites like Lincoln Park Zoo Lights, the John Hancock Center, Michigan Avenue, Willis Tower and Millennium Park. Prices are $149 instead of $179 per person for the month of Dec only. Other options include iFly, trampoline park, skydiving, sailing, hot air balloon, and zip lining. Top to bottom: Collection for a Cause, $50, Provides 408 Meals; Smooth Skin Delights, $35 ,Provides 282 Meals; Kiss Me With Kiehl’s, $25, Provides 205 Meals. Purchasing a present that gives back to the community or a charity can be a more thoughtful gift. Continuing its holiday philanthropic tradition, Kiehl’s launched its 10th Annual Limited Edition Charitable Holiday Collection. With the purchase of their whimsical gift set, designed by the artist Andrew Bannecker, Kiehl’s pledges 100% of its net profits, up to $100,000, to a charity. For the fifth year in a row, they’ve partnered with an amazing organization Feeding America®. 40 million people in the US are food insecure and 12 million of those are kids, this donation will help provide 1,000,000 meals to families this holiday season. I had the honor and privilege of helping Kiehl’s pack meals at the Greater Chicago Food Depository, the lunch bags would go to feed students and teachers of Harold Washington College. Also, shop with Fair Trade companies or buy ethical-made gifts from places like Society B, Ethica, Fair Trade Winds and Accompany. Learning a new skill can be invaluable so consider buying a loved one lessons for one of their interests. Have they always wanted to learn to play the guitar or dance? Along with it being thoughtful and rewarding, the act of learning a new skill is fun and they will have broadened their horizons. For an elegant and informative evening with a drink why not learn more about wine at The Chopping Block? Whether you're a beginner or a seasoned sipper they offer classes for every level with accredited sommeliers. Get a solid foundation in wine tasting and sensory evaluation, that can help you build your wine knowledge and enjoyment. Classes range from $65- $90. Other options include painting, cooking, dancing, baking, cocktail making, golf and iceskating lessons. WHEN: December 7-9, Noon-6 p.m.
Nike’s Air Force 1 has always been synonymous with the city of Chicago. A city where hard work and dedication meets unapologetic style and charisma. In partnership with Girl Gaze, Nike is highlighting the untold stories of six Chicago-based creatives who are a manifestation of this mentality. Join Nike at the All For 1 Studio to celebrate these unsung heroes and the work they do for their community. With a donation of a gently used or new pair of athletic footwear, attendees will be able to unlock a special customization experience. · Malcolm London, Poet, Activist, Educator, Musician. He runs the largest youth open mic in Chicago alongside his friend, Chance The Rapper. · Zaya Sosho, Founder of Future Kingz. A Chicago dance crew recently featured on America’s Got Talent and has performed with Chance the Rapper on the Ellen Degeneres show. 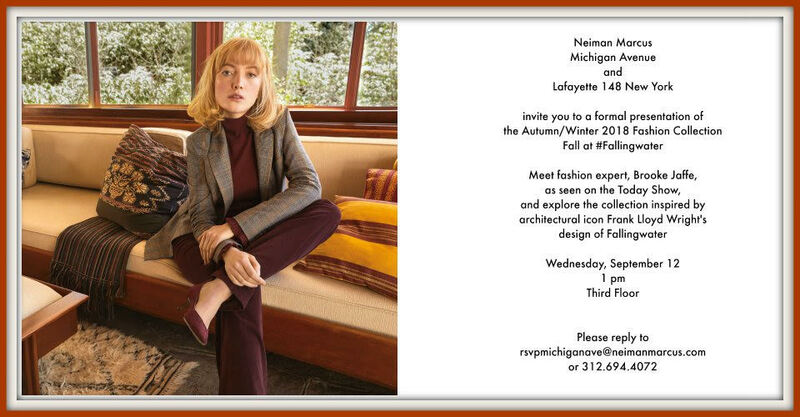 · Sara Merabet, Head Buyer for RSVP. She is the only female on staff in a male-dominated industry. · Rachel James, creative director and founder, Pear Nova, a nail polish line. · Natalia Ryshtakova, buyer at Notre. Natalia moved to the US from Belarus three years ago and has begun exploring her other passions as an artist in tattoo design and illustration. Make your own nail polish color with Founder of @PEARNOVA Rachel James at the All for 1 Studio. Be a part of a community dance class with Chicago natives Zaya Sosho and The Future Kingz at the All for 1 Studio. Hear first-hand how Sara and Natallia continue to redefine the male dominated sportswear industry in Chicago and around the world through their unique sense of style at the All for 1 Studio. Join Rob Valentino and The Project Mayhem crew for a special customization experience at the All for 1 Studio. An intimate poetry workshop with Malcolm London addressing what “All for 1” means to Chicago through art, music and action at the All for 1 Studio. Tickets start at $250 and tables at $2,500. All proceeds benefit the Costume Council’s support of the Chicago History Museum. For ticket information, please contact Ishan Johnson at 312-799-2118 or at ijohnson@chicagohistory.org. 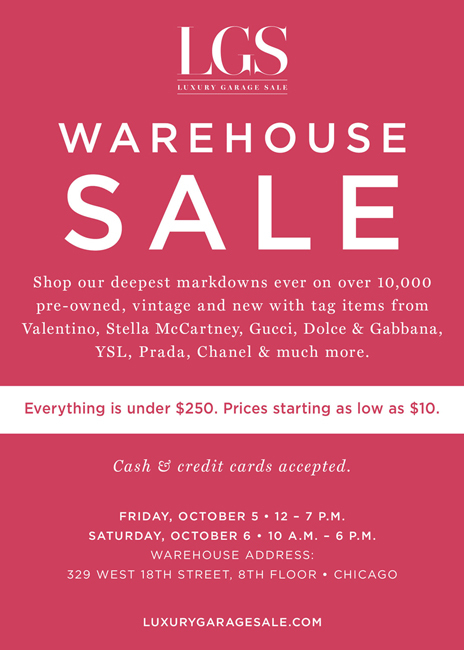 WHEN: Saturday, October 13th – 10 a.m. – 6 p.m. and Sunday, October 14th – 11 a.m. – 5 p.m.
WHY: The exclusive clearance event will feature 500 sample gowns all available for $500 or less for a savings of approximately 60% to 80% off original prices! Brides-to-be can browse through dresses from top designers, including Demetrios, Cosmobella, Augusta Jones, Lazaro, Tara Keely by Lazaro, Watters & Watters, Watters Wtoo, Jorge Perez and Judd Waddell. 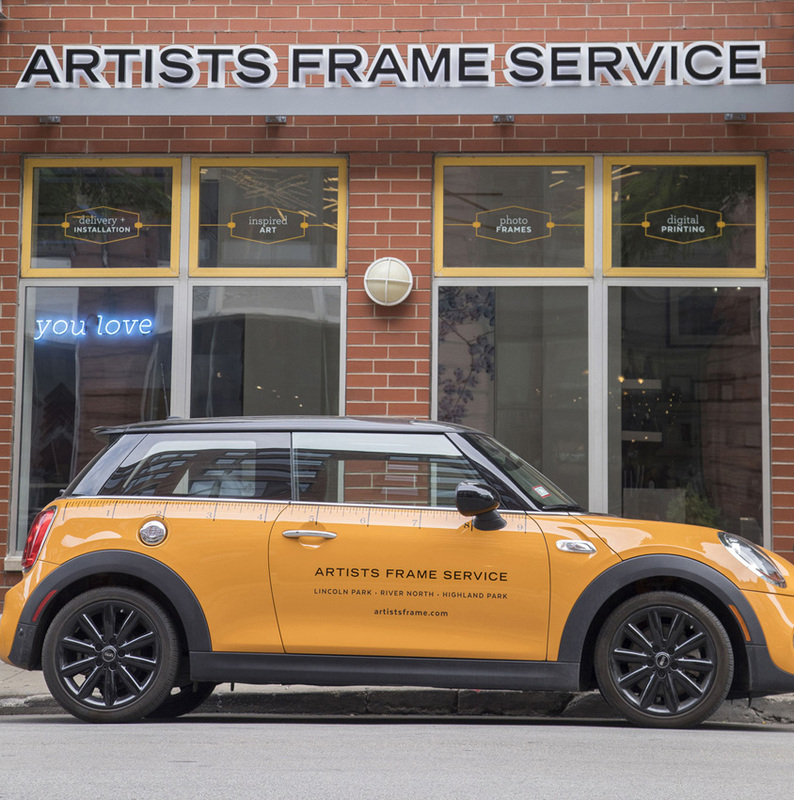 WHY: The store has an impressive variety of stocked photo frames – which includes their own frames manufactured here in Chicago- as well as a custom framing services. Here you can find unique handcrafted made to order frames that have been sourced from around the world. They also sell local art, custom mirrors, and both pre-designed or custom gallery walls. But most exciting is their professional digital photo and art printing services. That is right you can print images straight from you phone.